I used to work with a man called Derek. At least, I think he was called Derek. The problem was we were introduced on a busy day and didn’t quite catch each other’s name. From then on, whenever our paths crossed we’d say ‘hi’ or ‘how are you’ in a friendly fashion, happy to maintain a polite facade. This went on for months, each of us aware that to suddenly ask “What exactly are you called, by the way?” would seem utterly weird. There’s a parallel with some of my scuba kit, which I have been happily buying, reading about, using and talking about in the pub for years. 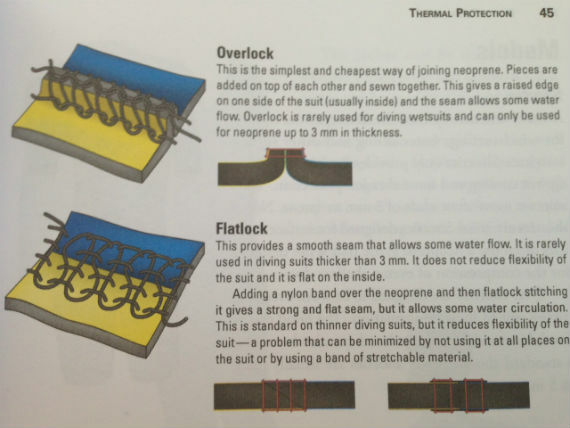 To suddenly blurt out “What the hell is neoprene, anyway?” would have friends choking on their pork scratchings. 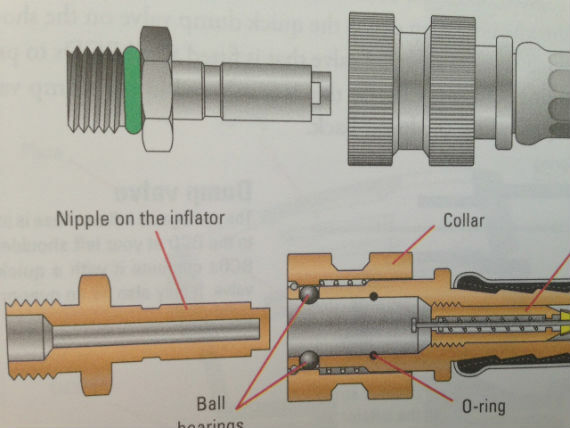 My saviour might just be ‘Diving Equipment – choice, maintenance and function’, the latest book from Dived Up. Author Jonas Arvidsson is a former head of PADI Sweden and has worked as an instructor and dive centre owner over several decades. He’s also a talented artist, as the hundreds of illustrations in the book demonstrate. Jonas has spent an inordinate amount of time in front of this PC with CAD software drawing everything from the workings of a diaphragm regulator to a weight pocket. I mean, does anyone really not know what the latter looks like, or how it works? There’s certainly no excuse now. The book is technical but accessible; it’s an easy read for divers of all levels, beginning each section with advice on getting the choice right to begin with – useful for avoiding buyer’s remorse. 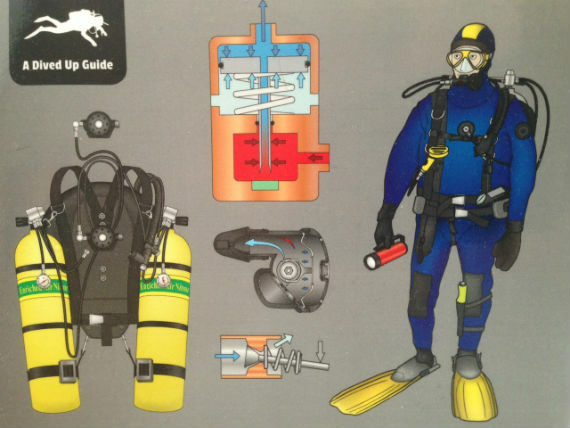 Sensibly it covers equipment used from just about every flavour of diving seen today. Wings to stab jackets, cylinders and valves, wet and drysuits, sidemount to CCR, it’s all here and covered in the right amount of detail. There’s a saying that in this sport there’s always something new to learn, and so it proved for me: turns out that crushed neoprene and compressed neoprene aren’t the same thing. I knew that… honest. Some books you read and pass on, but this is one to keep and refer back to for many years to come.